After 3 months with full focus on Vasaloppet, the worlds' largest and longest ski race, Alsace will get full attention! Altenbourg is a vineyard located just above the village Kientzheim, on a gentle slope with relatively heavy soil, rich in limestone. The terroir is exposed to sun, but still the soil is quite heavy and the winds are moderate. This combination of soil and micro climate allows Gewurztraminer to mature evenly and slowly, maintaining its' acidity. In addition noble rot often develops which concentrates the aroma and the flavor even more. This may be the greatest terroir for the signature grape variety of Alsace. 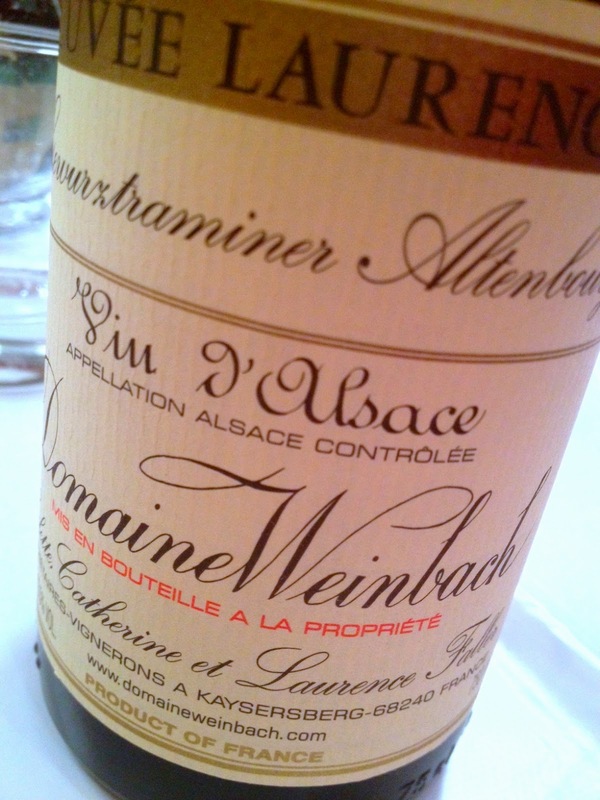 2005 Gewurztraminer Altenbourg from Domaine Weinbach in Kaysersberg is deep golden yellow. The aroma is sublime, yet powerful, offering ginger, coffee, pineapple, rose petals, lemon and dill. The taste is sweet but perfectly balanced, with superb acidity, velvety texture and an aftertaste that lasts for ages. A great wine from a truly great producer. Price: €30.